Interstate Container executives meet key players in the fresh produce and floral supply chain at the PMA Fresh Summit 2012. 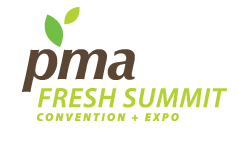 Interstate Container representatives will attend the Produce Marketing Association (PMA) Fresh Summit 2012 on 27 - 28 October at Anaheim Convention Center, California, USA. As manufacturer of Greencoat® wax-free recyclable corrugated packaging, Interstate Container will gain insight into how farms are packing produce today, as well as explore whether farms are shifting to recyclable packaging. Greencoat® has proven to be the strongest and most sustainable box, in a wet, long haul environment. Jeff Cormier, Interstate Container National Sales & Marketing Manager, and John Muller, Sales Account Manager, will meet prospects in the fresh produce and floral industry, keep track of upcoming trends at the event, and secure booth space for the 2013 PMA show to be held in New Orleans. Held on 26 - 28 October 2012, Fresh Summit International Convention and Exposition will provide visitors with the latest developments and trends in fruit and vegetables produce, as well as floral supply chain. More than 900 exhibitors from all over the world will showcase up-to-date products and services for three days of networking, innovation, visibility and deal making. Exhibitors include grower-shippers, foodservice operators and distributors, as well as suppliers of equipment, packaging, technology, transportation, food safety programs, etc. Interstate Container manufacturing plants in Columbia, South Carolina and Cambridge, Maryland manufacture eco-friendly Greencoat® corrugated cartons for packing poultry, meat, seafood, fresh produce, floral, and decorative stone, among others. In addition, they produce waxed chicken boxes for packing fresh or frozen chicken, turkey, duck or geese.